New Delhi : In a latest tragic development, it has been learnt that over 800 Indians have been moved out of job. The development has forcefully pushed him under the situation where they are left with only one option to starve till death if no concrete action comes in place from the Indian authorities. External Affair Minister Sushma Swaraj has placed her ministers to the rescue who are speaking with Saudi authorities to provide them food as soon as possible. Emergency food has been made available for the stranded Indians by the embassy there. • 800 Indians in Saudi Arabia have been thrown out of job and they are left with no option than to starve till help comes. • External Affairs Minister Sushma Swaraj has initiated rescue with her ministers VK Singh and MJ Akbar. • Emergency food has also been made available for stranded Indians from the embassy in Riyadh and the consulate in Jeddah. 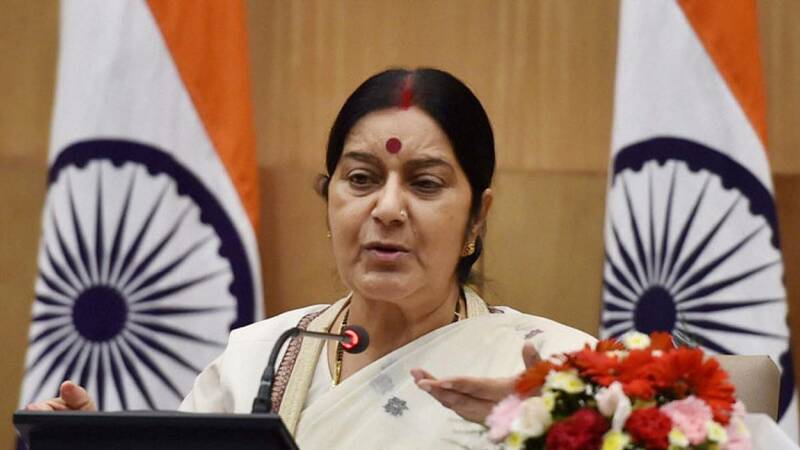 • "We have asked @IndianEmbRiyadh to provide free ration to the unemployed Indian workers in Saudi Arabia," Sushma Swaraj tweeted. • "My colleagues Gen_VKSingh will go to Saudi Arabia to sort out these matters and MJakbar will take up with Kuwait and Saudi authorities. I assure you that no Indian worker rendered unemployed in Saudi Arabia will go without food," she said. • Apart from 800 Indian, officials claimed that there are nearly 3000 more people stranded in different camps. • From August 5, India will be sending planeloads of haj pilgrims to Saudi Arabia and the aircraft usually return empty. The planes can be utilised to bring back the workers to India and to their families.